Sun., June 24, 2018, 2:10 p.m. 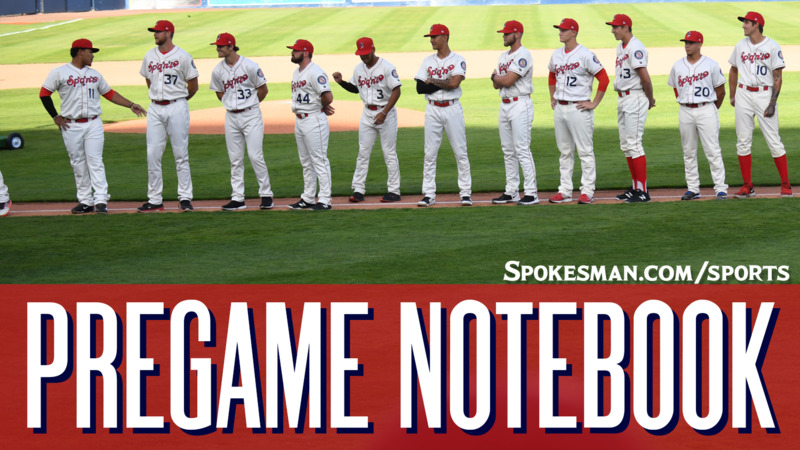 The Spokane Indians (2-7) look to halt a four-game skid against the Vancouver Canadians (3-6) in a Northwest League clash at Avista Stadium at 3:30 p.m. The Indians send RHP Seth Nordlin (0-0, 1.50) out against RHP Josh Winckowski (0-1, 3.60). Nordlin, a 13th round pick of Texas in the 2017 MLB Draft, makes his second start and third appearance of the year. In six innings he’s allowed two runs (one earned) on two hits and a walk with four strikeouts. Winckowski, a 15th round pick of Toronto in the 2016 draft, has made one start and allowed two runs on three hits and no walks with five strikeouts over five innings. Last night: Chris Bec went 3 for 5 with two doubles and three RBIs and the visiting Canadians (3-6) topped the Indians (2-7). Starter Tai Tiedemann allowed five runs – three earned – on five hits and three walks over four-plus innings. He hit three batters and struck out four. Heating up: Miguel Aparicio is back in the lineup after a night off. He’s hitting .300/.323/.433, third on the team and in the top 15 in the NWL. Aparicio has hits in six of his seven games and has scored in every home game he’s played in. Promotion: It’s Otto’s birthday! Otto’s mascot friends will be on hand and there will be activities for kids all night long. Stay after the game for Catch on the Field! Weather: Sunny. Game time temp 83 degrees, final out 84. Published: June 24, 2018, 2:10 p.m.